Our goal is simple. To provide an awesome set of tools to help developers improve and monitor the performance of their applications. Below are some of the key problems that we can help with. Most application monitoring solutions are designed for IT operations. We decided to build a product with developers in mind. Developers love our APM solution because it combines application logging and code profiling together. We want to help companies of all sizes, not just the large enterprises. Many APM solutions are over $200 a month per server. Why pay more to monitor your server than your server costs? Retrace is an affordable alternative to expensive products like New Relic, AppDynamics, Dynatrace and others. Our goal is to provide all the tools you need to troubleshoot application problems in one place. We started Stackify because we hated using 5+ tools. 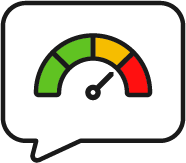 Retrace combines code level performance profiling, centralized application logging, error tracking, application metrics, server monitoring, and more. You are in the right place. After a few minutes of installing Retrace you can quickly identify bottlenecks in the performance of your applications. Our proprietary App Score will help guide you as you make improvements. Your developers can troubleshoot issues pretty quickly if they have access to view their logs and do some performance profiling. Guess what? That is what Stackify Retrace does. We help developers quickly troubleshoot issues. Things like Azure App Services, serverless apps and Platform as a Service (PaaS) require a completely different kind of approach to monitoring. Stackify can help you monitor your applications and the dynamically changing infrastructure that they run on. Deploying a new version of your code is stressful. The combination of Prefix and Retrace can help you identify problems before you push code to production. Our deep performance monitoring and error tracking will help you instantly spot performance issues after a production deployment. If you want to go fast and break things, we can help you break fewer things. Developers are now more responsible for deployments and production monitoring than ever before. Our goal is to provide the perfect product for teams that embrace DevOps or site reliability engineering practices. Our products are designed to help you monitor everything about your applications in one place. We have two amazing products that can help you improve the performance of your applications.